In today's photo of the day, we see American spirit in Chicago from Sunday afternoon. 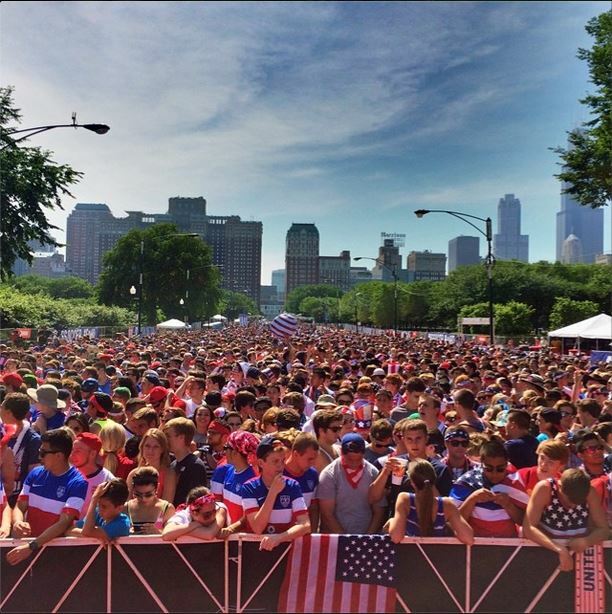 "U.S. v Portugal World Cup viewing party." Team USA was just seconds from advancing to the next round when Portugal's Silvestre Varela scored in time to give Portugal a desperate 2-2 draw. The U.S. team faces Germany next.